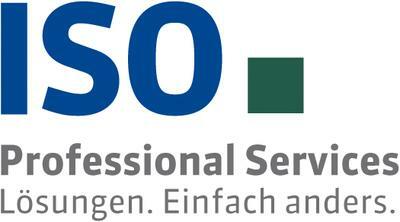 ISO Professional Services GmbH has been commissioned as the main contractor – along with its partners Class.Ing Ingenieurpartnerschaft GmbH and Omikron Data Quality GmbH – for a project by Bilfinger Water Technologies GmbH regarding the standardizing, de-duplicating and classifying of their article master data. As part of the project, the standard components for almost one million sets of article master data in the SAP ERP system will be extracted, normalized, structured and checked for duplicates. Next, the cleansed material master data is classified according to the eClass standard including the related attribution and the creation of a class system specifically for Bilfinger. The particular challenge is the amount of product master data, which is maintained and used in more than 13 countries. The results are re-imported into the SAP classification system. The division Water Technologies of the Bilfinger engineering and services group is a global leader in the supply of systems, components and services in the area of water and wastewater technology. The key to success is the range of products and services in the fields of water and wastewater management, screening and filtration technologies for separating solids from liquids and gases, as well as vacuum technology, all of which are offered as complete solutions for municipal and industrial customers. 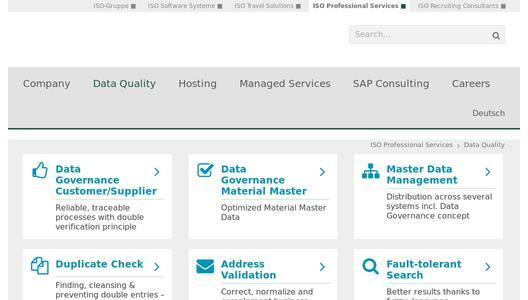 The ISO Professional Services GmbH has decades of experience in SAP consulting and hosting as well as IT infrastructure services. The core competencies span the entire life cycle of SAP and non-SAP landscapes - from consulting, implementation and operation to optimization. 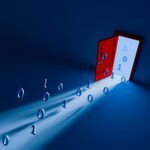 Operations can include all aspects: from selective remote operating to managed services to full outsourcing. We have special know-how in the field of Data Quality Management of large datasets. SAP hosting along with several products for Data Quality Management are certified by SAP. 1ISO has been active in the market since 1979 and has since become an international IT service provider. Targeting specific markets has resulted in several powerful and innovative companies under the umbrella of the ISO-Gruppe. Besides ISO Professional Services the ISO-Gruppe today includes ISO Software Systems (specialized in software engineering and IT consulting), ISO Travel Solutions (an IT expert for the tourism industry), and ISO Recruiting Consultants (a provider of IT personnel services). A total of 400 permanent employees work at several sites throughout Germany as well as in associate companies in Austria, Poland, Canada and the UAE. 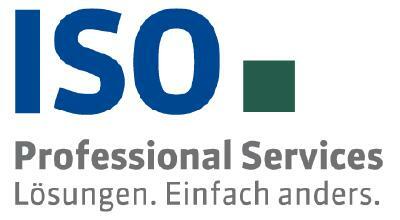 The companies ISO Software Systeme, ISO Travel Solutions and ISO Professional Services of the ISO-Gruppe, with their respective offices in Nuremberg, Munich and Offenbach, are certified to the requirements of the quality management system in accordance with DIN EN ISO 9001:2008. For further information, please visit www.iso-gruppe.com.